The most recent manufacturing run of Mooshimeters has battery contacts that weren’t deburred properly. This has created a very frustrating problem where the burr (rough edge) of the battery contact cuts through the label of the AA battery, short circuiting the battery and causing it to heat up. It’s not a fire hazard but it’s alarming to users and it kills the battery. 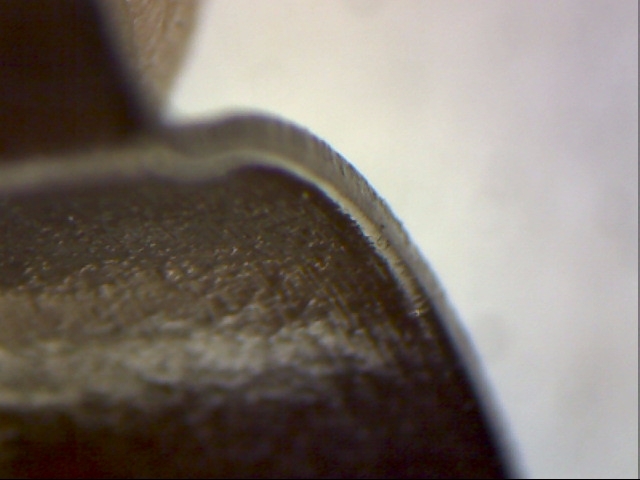 Even worse, failure is not immediate so it didn’t get caught during the manufacturing process, as it usually takes several physical impacts on the meter for the rough edge to saw through the label. The battery contact manufacturer has offered a refund for the contacts and future Mooshimeter will be made with contacts from a different supplier. The contacts themselves are not a big part of the manufacturing costs though, the time and energy supporting users who receive meters with a flat battery or have one heat up when they replace it is a far greater cost. The battery contact in question is manufactured by Memory Protection Devices (MPD) and the same model been in every Mooshimeter since production started almost 2 years ago. The part in question is here if you’re interested. MPD said a bad batch was released last year. The contacts that made it on to this manufacturing run of Mooshimeter were from that bad batch. Here is a picture of the offending battery contact in context. This is a board from the most recent manufacturing run. The rough lip is extremely hard to see but it’s there. 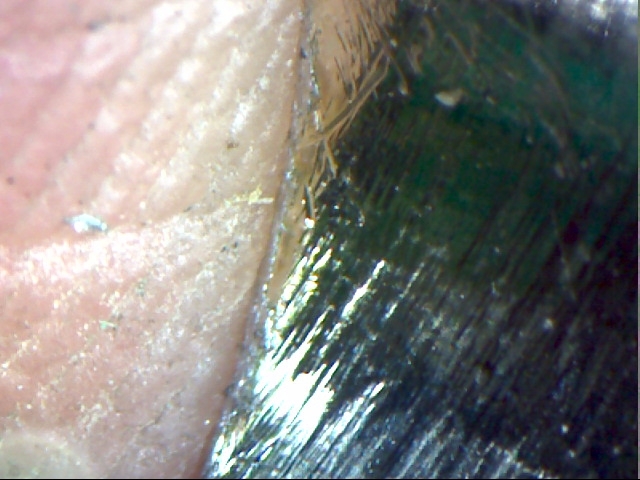 If you run your fingernail along the inside lip of the battery contact, you can feel it. Our friends at ESI have already found compatible replacement contacts from another manufacturer. They sent me some samples. 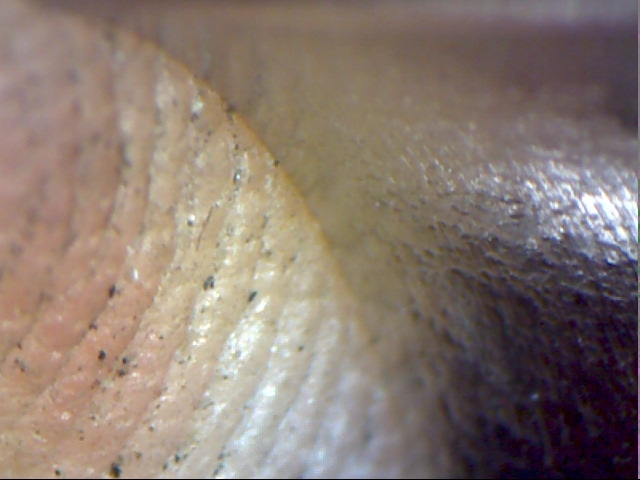 Below are microscope images of the two side by side so you can see the difference. The burr becomes more clearly visible when the light is positioned to reflect off of it. Please excuse my fingerprint in the background. Hardware work is never clean. 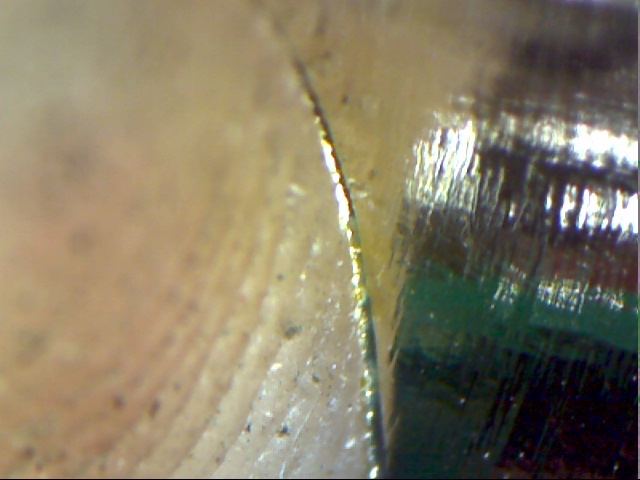 MPD contact inner edge. Note the reflection along the jagged burr. 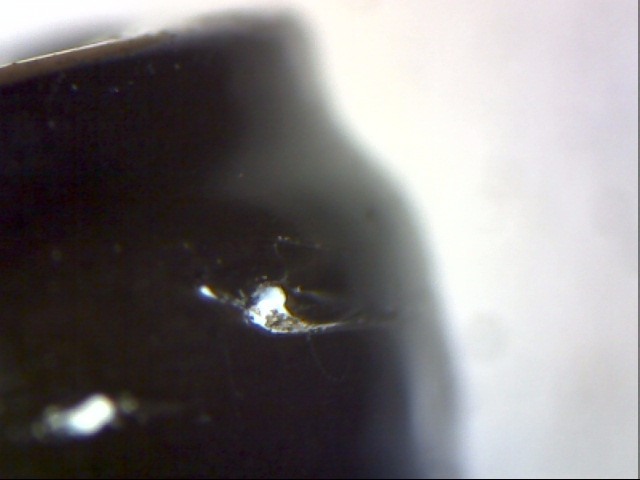 I also photographed the kind of damage these contacts inflict upon the AA batteries over time. There seem to be two failure modes, which I dub slicing and gouging. This is the side of a Duracell AA. You can see parallel cuts from where the battery contact cuts in when the battery is inserted and removed. Here it looks like the contact bit in to the label and dragged a small portion away, exposing metal underneath. This is near the negative terminal of the AA battery. In all of these cases, examine the dead battery near the negative terminal. You will probably see a spot where it looks like the label has been scratched down to the metal. In the cases so far, the failure has always occurred at the negative AA battery terminal closest to the corner. This is where mechanical shock is most directly transmitted to the battery contact. The failures documented so far also happen at the edge closest to the corner. The edge can be deburred with almost any steel tool. Here I use a phillips head screwdriver. Since we’re switching battery contact manufacturers, this should not be a problem on future manufacturing runs. For meters that are already in the wild and affected by this issue, your meter should be fine once you push down the rough edge. We work hard to build a reliable product and every meter is tested before it leaves the factory, unfortunately this issue only manifests once the meter is bounced around in a truck for a few days. I apologize for any inconvenience or scare this issue has caused. Thanks James! as you know, I got one of these “edgy” meters. I have a suggestion for an alternative to deburring: put a strip of electrical tape over the “grip” fingers of the battery clips- I think the tape will be thick enough to effectively bury & hide the burrs from your battery. That won’t be as complete a fix as removing the burrs altogether, but might be easier for some folks. I’m going to try it myself today (I lost another battery yesterday). A possible problem will be if the additional tape thickness prevents fully closing the case, with the batteries installed. Come to think of it, that’s probably way easier. I’m going to try it with scotch tape (just because more people have it around) and might amend the recommendations on this post. Thank you. Just now tried the tape method for covering these burrs- it appears to be working, and there is no noticable extra interference when closing the case. That said, cutting and accurately placing these small tape strips is a bit “fiddly”, and proper deburring is probably a better long term fix (easy enough to do with a pocket knife or screwdriver as you descibe). I used vinyl electrical tape (standard cheap hardware store stuff). “Scotch” tape is thinner, but probably still thick enough to hide the burrs. One extra note: since the outer can of a battery is the negative pole (the “can” is continuous from the negative terminal on the bottom, all the way up the sides to near the positive pole on top), I think the problem burring is only on the POSITIVE side of the battery holder- that’s where you will get a direct short between the positive pole and the negative outer can of the battery. Shorting the can to the negative battery terminal should not be a problem. So perhaps it is sufficient to tape or deburr only the positive side of the battery holders. Congratulations again on a great design- and for quickly diagnosing and fixing this problem with one of your out-sourced components. Astounding work. I bought one of your “fantastic” meters and of course one battery is flat. An interesting way of doing Business. The costumer has to mend a faulty device. Sorry Juergen. Every meter is tested before shipping but that didn’t catch this issue because it seems to manifest only with physical shock, so I am trying to work through the issue with customers as transparently as possible. Returns are accepted if you are not satisfied. Please email hello@moosh.im to arrange it if that’s what you’d like to do. I opened my Mooshi and “cleaned” the burrs with a cutter blade, passing several times on the side of the contacts and it works perfectly. Deburring will not solve it. 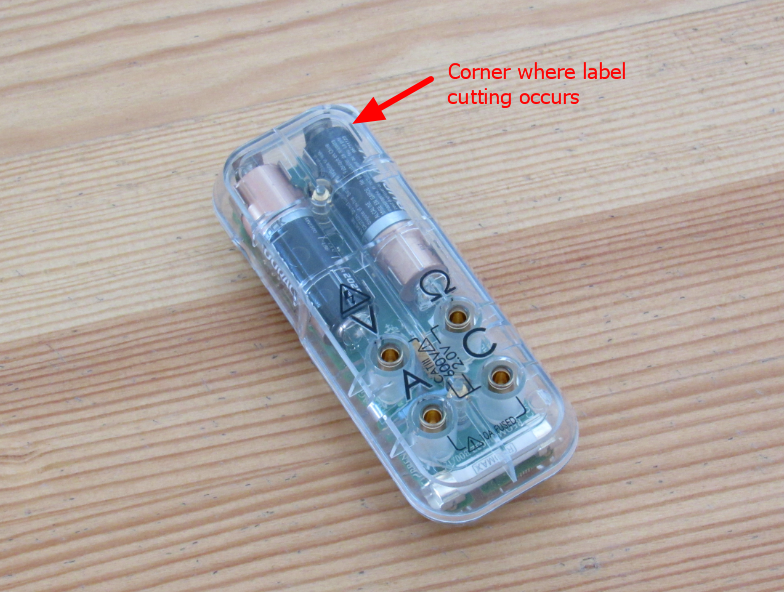 One must understand that AA cells have very flimsy isolation on the outside (sometimes just paint), and that the can can be connected to the + or the – pole, depending on the manufacturer. 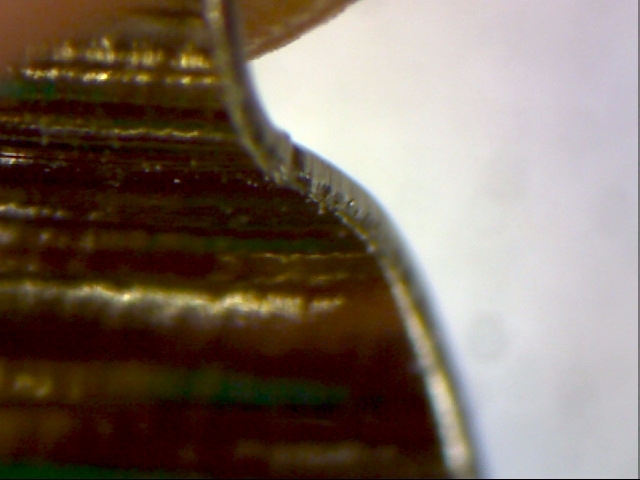 Any type of metal contact on the outside will in time cut through the isolation layer. 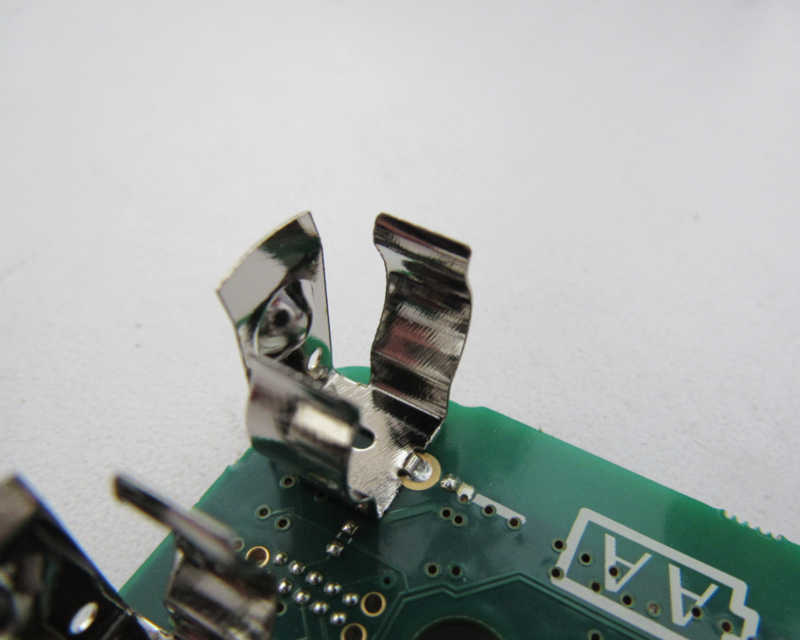 The clips expose way too much metal, from all sides, and will in time cut cut through the isolation layer and provoke shorts at various spots (side, top/bottom edge, wherever). I have resorted to putting heat shrink tube around all 4 side lips a long time ago already, and now am working on protecting the top, bottom, and board side metal surfaces (except of course the bulge that is needed to make the real contact). This is a must do if you want to have any chance of keeping batteries longer than 1 week in your meter. I have seriously, NEVER EVER, in the entire year that I have the mooshimeter, been able to use it without having to replace the batteries first. They ALWAYS come out dead. This type of battery clip is not suited for AA cells. It is not for nothing that almost all AA battery holders expose only a metal surface at the contacts. If I design a follow on product, I will be avoiding these battery clips. I think even when they have smooth edges, the clip is poorly designed since it relies on the battery label for insulation. I’ve found that different battery brands have vastly different durability of labels. So I think your feedback is right on. Regarding the battery dying quickly: I know it sounds unlikely but I think the battery contact is cutting the label very slightly and making a very slow discharge. This has happened to several other customers. The battery does not get hot, it just dies more quickly than usual. 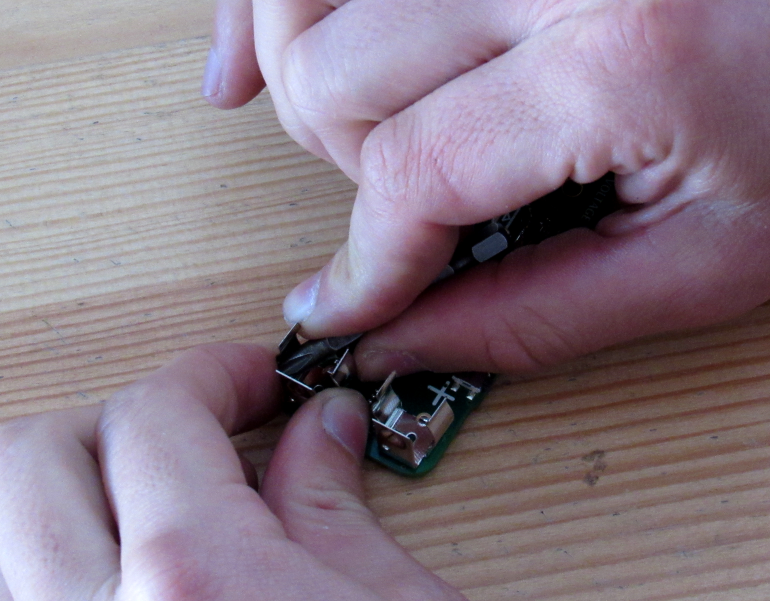 You can test this by putting a piece of tape over the rough edge of the contact when you replace the battery. 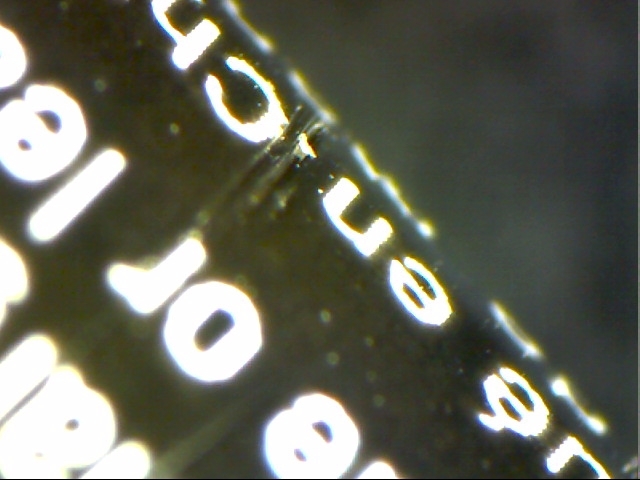 Glad I read this post, just received my meter today from SparkFun and it had sharp edges as well. It was definitely biting into the batteries that the meter was shipped with! Took me about 20 min with fine grit sandpaper to smooth it out. I think it’s a bad idea to ship anything with the batteries installed anyway, at a minimum – most other manufacturers provide an insulator tab that you have to pull upon receipt. Best though to keep batteries separate in a sealed plastic bag (avoids messy corrosion issues if they leak), or even better to let user purchase these common AA type themselves. Sorry for the inconvenience, glad you found the info you needed. I decided to ship with batteries in because I wanted customers to receive a ready-to-use unit. Since you need a screwdriver to open the unit I didn’t want to force the customer to go find a screwdriver before they could use the new tool. And with the case designed the way it is, there was no easy way to stick in a removal battery-blocking tab. If I do a new hardware version I’ll definitely be changing the battery configuration to allow either tool-less battery access and shipping with separate batteries, or insertion of a battery tab so the unit is not constantly powered. It’s been a costly lesson to learn but yes, I’m going to avoid shipping powered units next time. Thank you again, let me know if I can help with something else. Just to clarify the clips have been an issue since day 1. The date on my board is printed 04/2015 and has had the same problem as all of the above, the only response I got from the help service was that the tab must be pressing on the battery terminal too hard. Finally after giving up on the thing a long time ago I just decided to check for a possible firmware update that might have been released and just found this post. Sure enough just checked the batteries I was removing after each use due to the issue and there are the cuts. Extremely frustrating but im glad it is finally resolved and that you have taken responsibilty for the mistake. Thanks Kyal – this is helpful to know. I can confirm that these burrs must have been an issue before. My board is from 2014 / Rev H. and it has burrs on the AA holder on every edge. Hello,I would love to have one of your meters but can’t afford one at this time being I has injured at work,then let go! So now with three sons age 16,13,&11. And a wife with a bad back. I’m kinda dreaming if I said I was getting one anytime soon. But still just leaving a reply to let you guys know that your meter is awesome. Sorry I am so behind on responses, email me at james@moosh.im and I’ll get you a refurb. Because to be totally safe, one needs to deburr on the positive, the negative side and there the edges towards the center as well the one towards the poles. That means 16 edges in total! Dear James, I had also put the meter to one side as I have a lot to do here. After finding TWO sets of batteries drained I began to look carefully at the battery holders. I do not see any burs or problems on the battery holders even through this board is also from 04/2015. I decided to cover the batteries with shrink rap tubing and it was thick enough to stop the case closing completely. I removed the shrink rap tubing where it was stopping the case going together. In my meter there is no way these batteries can be shorted out now. I am still expecting the batteries to be dead when I get to it in a few days because the meter never seems top go into sleep mode. I am looking forward to using this meter to solve some of the problems here. I see it as the only example that I can use at a reasonable price. The only other thing that I would like is a simple list of instruction as to how I can do certain things such as turning it off when not in use. I will let you know how things go here. If you have a particularly bad set of battery contacts email me, I have some refurbished PCBs with better contacts and can offer you an exchange. I hope it all works for you, let me know. I’ll be getting the mooshi myself soon, like the size and remote aspects. One suggestion is a usb rechargeable battery as a fix to the burrs? Just a few suggestions for your next version though I’m liking this one and will be getting one soon for the versatility of the remote display and it’s size/weight. Thank you :) Originally my design intention was to have as few external interfaces as possible for safety and simplicity reasons. But the appeal of an on-off switch or recharging port is undeniable. Good suggestions! My consistently flat batteries turned out to be from an internal short in the PCB! Put fresh batteries in and feel (or use thermal camera) for a hot spot near a 6 leg component closest to the GND and DT test points. Leave a Reply to Steve Simmons Click here to cancel reply.